When properly applied, heat treatment has a multitude of benefits, including corrosion resistance, weld strength and durability and material resilience. Pre-heating materials prior to welding slows the parent material rate of cool and helps avoid material stresses, shrinkage and hydrogen cracking in the heat affected zone (HAZ). Post heat treatment of a weld helps to diffuse any remaining hydrogen in the weld and HAZ and reduces the risk of hydrogen induced cold cracking. 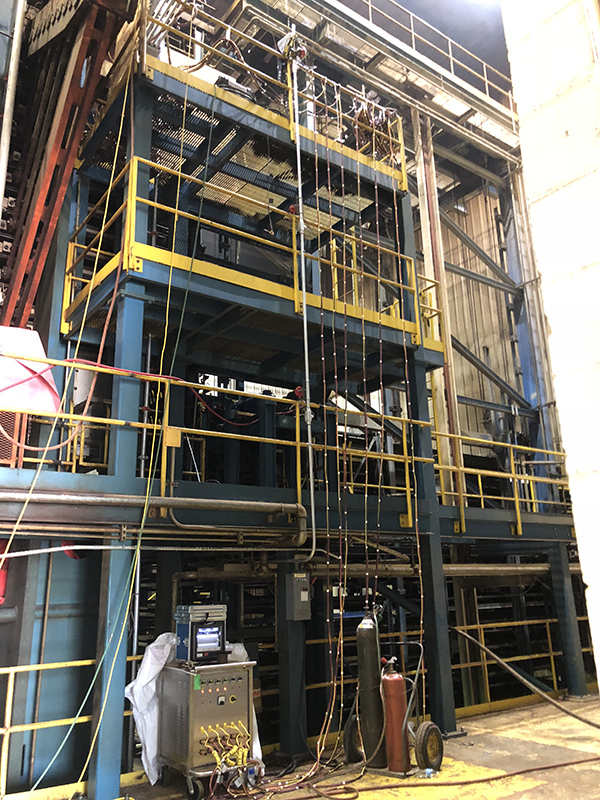 Along with field heat treating, NDE Inc. can also perform stress relief services where the temperatures are carefully monitored and maintained to ensure stresses are redistributed uniformly throughout both the parent material and welded area. NDE Inc. employs highly trained and qualified heat treatment service technicians who understand our customers’ needs for weld strength and longevity. We would like to hear from you regarding improvements to our services or this website. © 2009-2019 All right reserved.